Oriana Singers of Northumberland have been singing inspiring music since 1969/70 across a variety of genres to audiences in Northumberland County, Ontario and beyond. Recent concerts have included, in addition to classics such as Handel’s Messiah, musical tributes to the movies, the Swing era, East Coast music and fusing jazz to classical. Oriana frequently invites special guest musicians, specialists of these various genres, among them the Stephanie Cadman Trio, Brian Barlow and His Musicians, The Cobourg Band, La Movida and mezzo-soprano Laura Pudwell. As a conductor, teacher, and soloist, Lynn Janes’ work spans a wide variety of ages,abilities, and musical styles. For over a decade, Ms. Janes held various appointments with the Canadian Children’s Opera Chorus, including conductor and voice coach. In addition, Ms. Janes served as the Artistic Director and Conductor of the Toronto Mendelssohn Youth Choir. In September of 2009, Ms. Janes established and conducted the newly formed Pax Christi Youth Choir in a unique and exciting partnership with Stephanie Martin and the Pax Christi Chorale. Currently, Ms. Janes leads the Junior Division of the Canadian Children’s Opera Company and is the Intermediate Chorus Conductor. As a Music Educator, Ms. Janes established the vocal program at Victoria Park Secondary School. From there, she continued to build a vibrant High School Vocal Program at Earl Haig Secondary School, Claude Watson Arts Program; a program that provided the foundation for many young people to continue to pursue music as a profession. 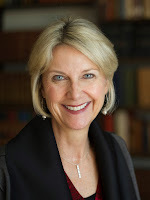 In 2007, Ms. Janes accepted the Headship of Music at Havergal College, a girls’ preparatory school with a long-standing reputation for excellence in music education. Over the course of her teaching career, her choirs toured Europe and received many awards including invitations to Musicfest Canada and Kiwanis scholarships. Ms.Janes retired in June 2017 following a 31-year teaching career. Ms. Janes musicianship extends to her illustrious performance portfolio as a chorister and soprano soloist. For twenty-four years Ms. Janes sang in the Exultate Chamber Singers, one of Toronto’s premiere professional ensembles. Her performances as a soloist are featured on all four recordings of the Exultate Chamber Singers. Ms. Janes has also performed as a chorister and soloist for several seasons in the Elora Festival Singers. Ms. Janes has been recognized for her accomplishments as a conductor and music educator and was awarded the prestigious Leslie Bell Conducting Prize and the Don Wright Conducting Scholarship from Western University. Ms Janes is honoured to have the opportunity to work with the Oriana Singers. She is excited about this season and the future of the choir. Robert began his musical studies in Port Hope and later furthered them at York University. He achieved the degree of Colleague with the Royal Canadian College of Organists, earning the highest marks in Canada. He is the former Organist-Choirmaster at St. Mark’s Anglican Church in Port Hope, a position he held from 1981 to 2004. Currently he is Minister of Music at Trinity United Church in Peterborough, where he leads a busy and varied music program with an adult chancel choir, a handbell choir, and an instrumental ensemble. A long-time member of the Royal Canadian College of Organists, Robert’s compositions have been sung by church choirs locally and in Peterborough and Toronto, and by MusicMakers and the Oriana Singers. In 2013 his anthem “Where You Go, I Will Go” was given its European premiere at a wedding in Germany. For many years Robert has been involved with the Oriana Singers – as a singer, guest soloist, director, accompanist, and composer. On several occasions he has been commissioned to write new works for concert performance. His excellent ear and skillful technique continue to be a gift to the choir.